On March 22, 2019 on the basis of Ivan Franko Lviv National University the second stage of Ukrainian young researchers` scientific projects in natural, technical and humanitarian sciences (specification «Translation Studies») took place. 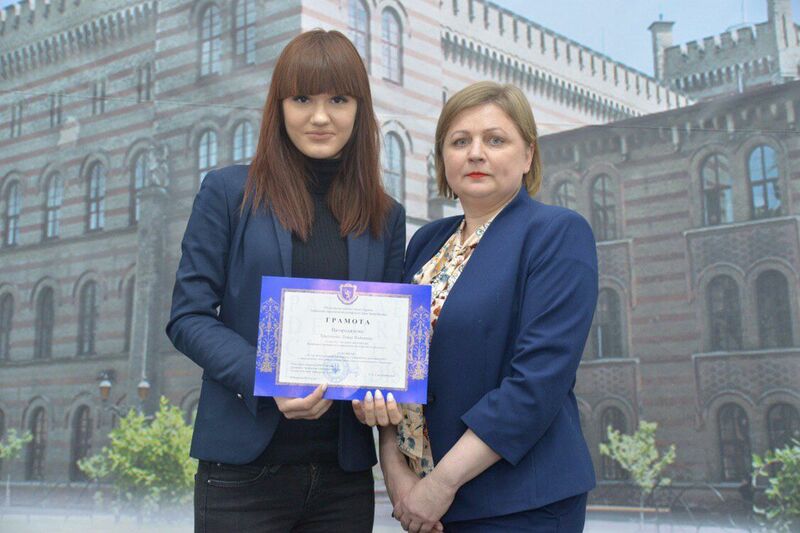 For the first time in the history of the Department of Foreign Languages and Translation Studies of the Institute of Psychology and Social Protection at Lviv State University of Life Safety the honorable 3rd place among 55 competitive projects received the student of the 1st course of master`s degree Liliana Tryhubenko. The research work under the title «Translation of advertising products (on the basis of tourist attractions of Lviv and Lviv region) » is supervised by PhD, associated professor Oleksandra Palchevska. Moreover, the member of the jury Doctor of Philology, Professor of Foreign languages and translation department at Lviv State University of Live Safety Oksana Babeliyk also received a diploma for the active work from Corresponding Member of the National Academy of Science of Ukraine, Professor, Vice-Rector of Scientific Work, Chair of the Sectoral Competitive Commission Hladyshevskyi Roman Yevhenovych.